This is a very simple tutorial to make a Spice Rack using Reclaimed Wood Pallet. The first step is to manually strip the cross boards by using a circular saw and a pry-bar. After prying the boards off, remove the nails from all of the boards using a hammer. What you do is hammer from behind and then pry it from the front. Once this is done use an Electric Planer to smoothen the wood pallet. Then make three ‘T’ shapes and screw the three ‘T’s together, and then add a wood pallet to the back of the 2nd T shape in the second row. Then screw the stairs to the two supports and you’re done. 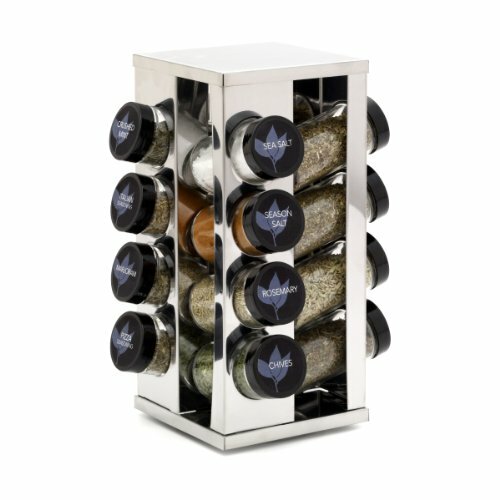 Your very own Spice Rack at Zero Cost is ready to be used. 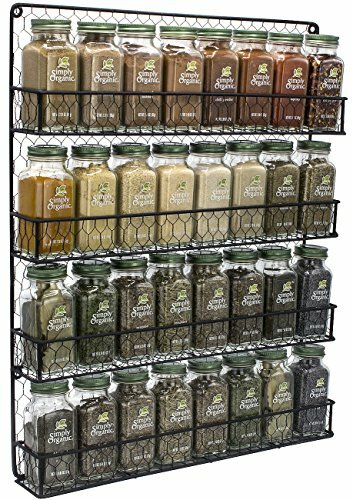 The EZOWare 2-Tier Free Standing Countertop Multi-Purpose Rack has wider taller shelves to ensure most spices, jars, cans, canisters, and condiments remain easily accessible when cooking or baking. 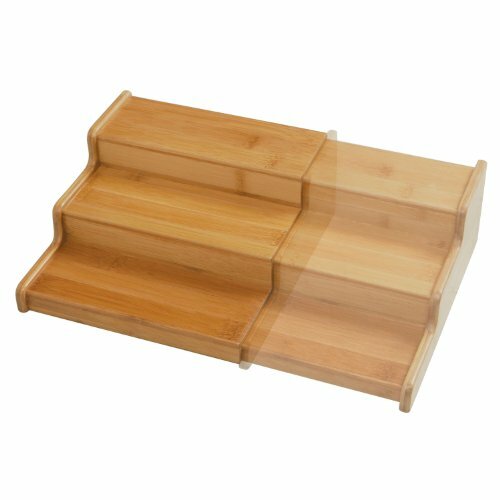 Multi-Purpose: Utilize in any room of the house to store, sort, and easily access items. 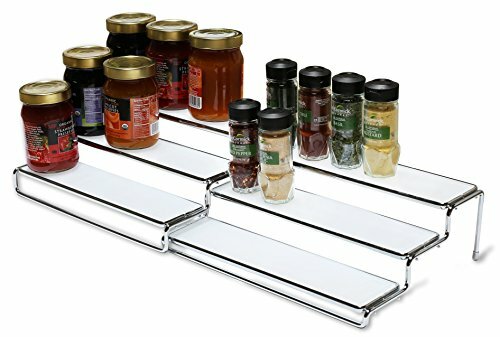 Usable in cabinets, on shelves, or in pantry's. Kindly Note: Rack only. 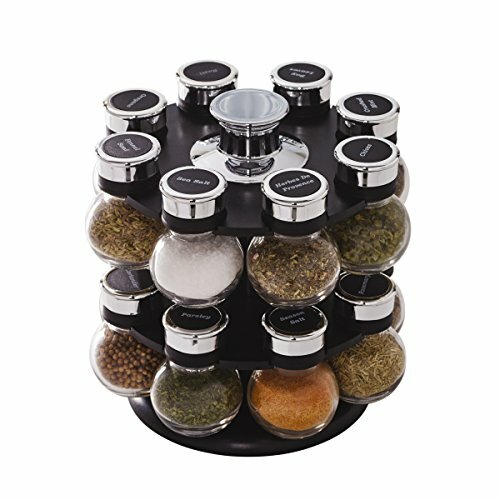 Pictured jars, spices or other items are not included. 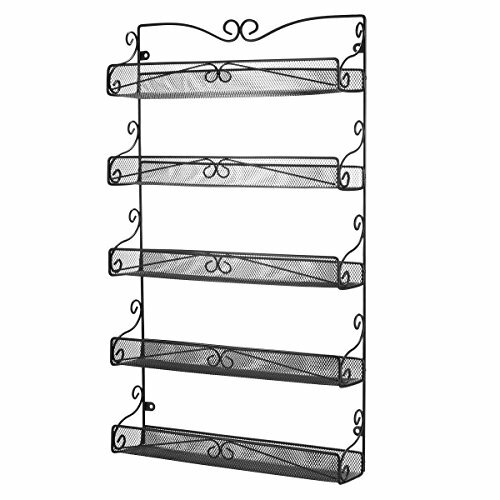 Durable and Stable: Constructed or solid steel with chrome plating that is rust resistant. Solid base for a stable hold. 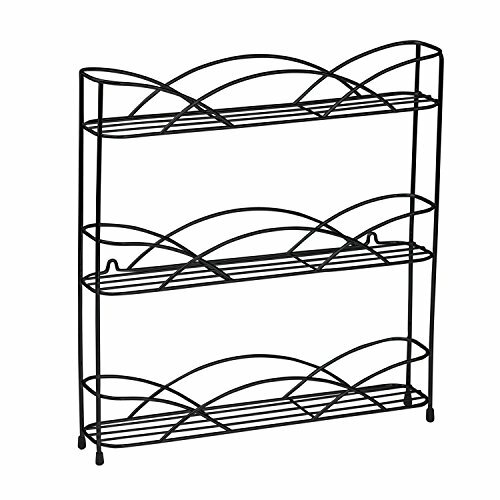 Wide / Tall Shelves: Each tier has a wider & taller shelves storage shelves than store more items. Dimensions: 11.8 x 10.2 x 5.7 inches (30 x 26 x 14.5cm). 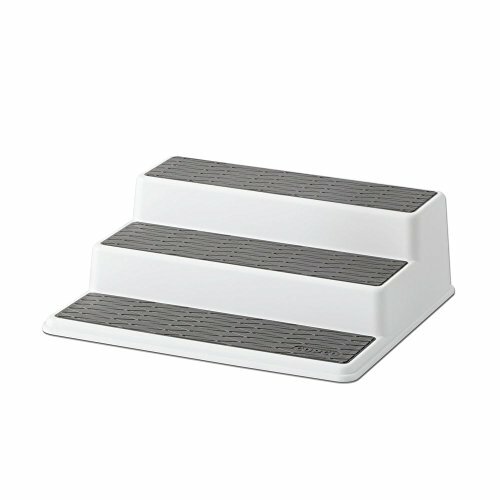 Space between tiers: 4.9 inches (12.5cm). 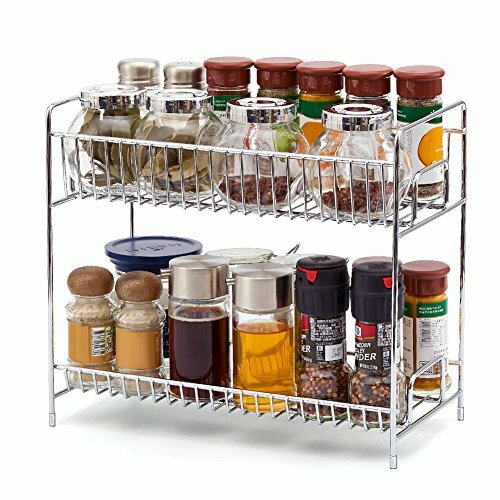 FUNCTIONAL ORGANIZER: Create more space in cluttered cabinets and pantries with this very functional organizer. 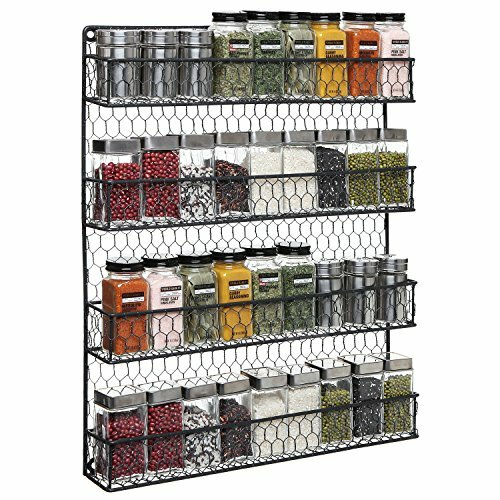 PERFECT FOR ORGANIZING PANTRY GOODS: Each shelf is 2.75" deep, perfect for organizing spices, soup or vegetable cans, sauces and more. 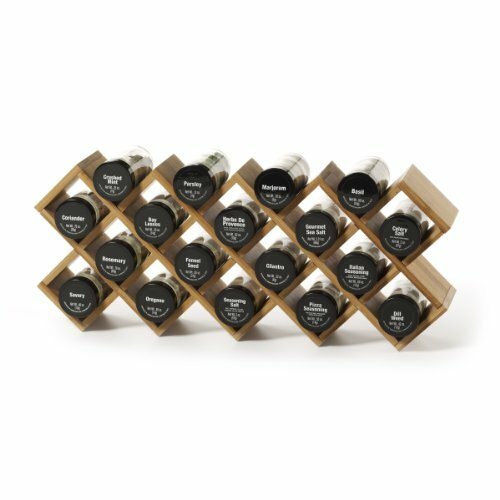 NOT LIMITED TO JUST THE KITCHEN: Use outside the kitchen to organize cosmetics, perfume, skincare products, figurines, and office supplies; the possibilities are endless. 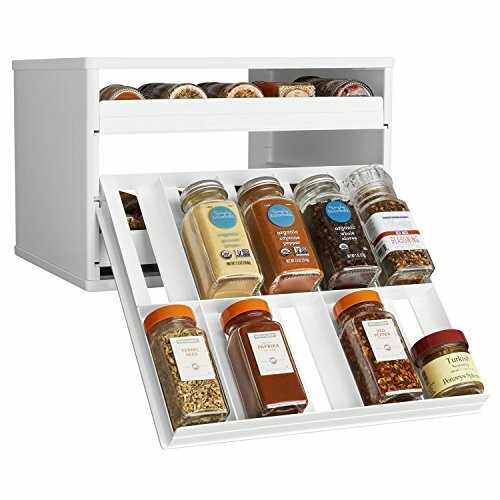 DURABLE PLASTIC: The Copco Organizer is made from durable, long-lasting plastic with non-slip shelf lining. MEASUREMENTS: Measures at 3.5" high by 8.75" deep by 10.5" wide. To clean; wipe with a damp cloth when needed. 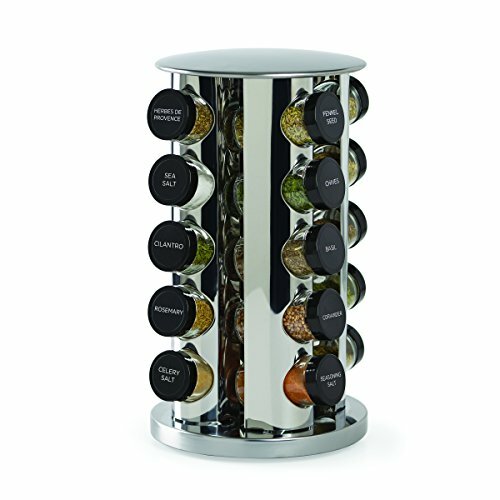 MODERN REVOLVING DISPLAY: The Kamenstein Spice Rack features a modern, stainless steel revolving design with a narrow profile, perfectly proportioned to fit into narrow spaces. 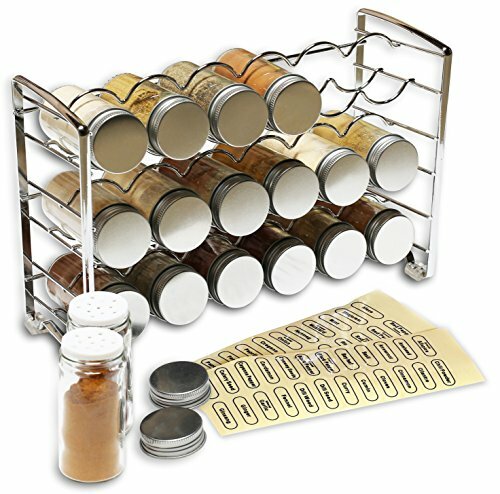 LABELS ON CAPS: Each cap is clearly labeled for quick and easy identification of contents inside; spice jars feature sifter tops for light seasoning that can also be removed if measuring is needed.